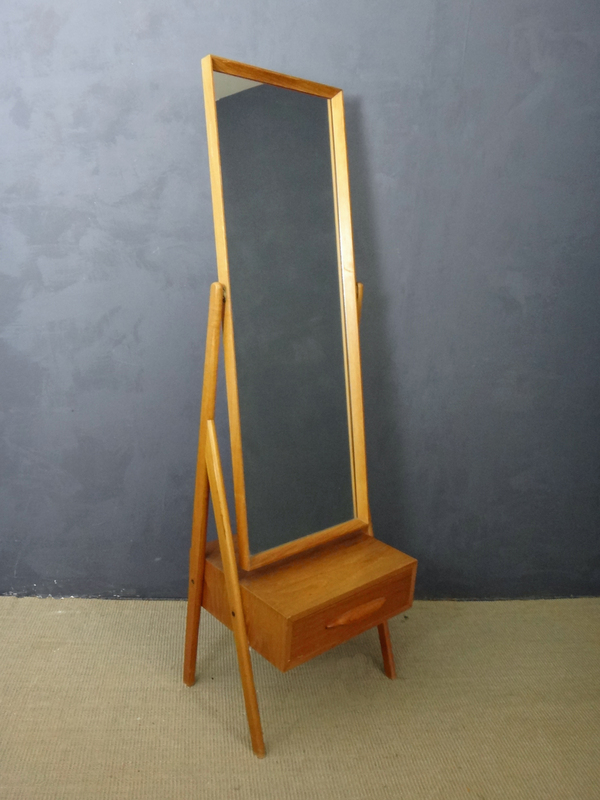 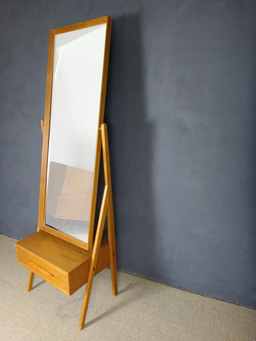 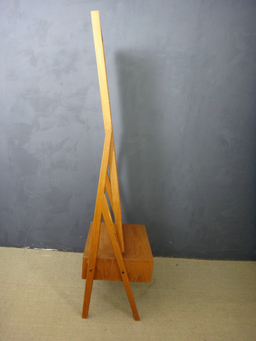 Designed by Arne Vodder, this elegant standing mirror was manufactured in Denmark in the 1960s. Features a single drawer for storage and tilting mirror. Marked "Made In Denmark." 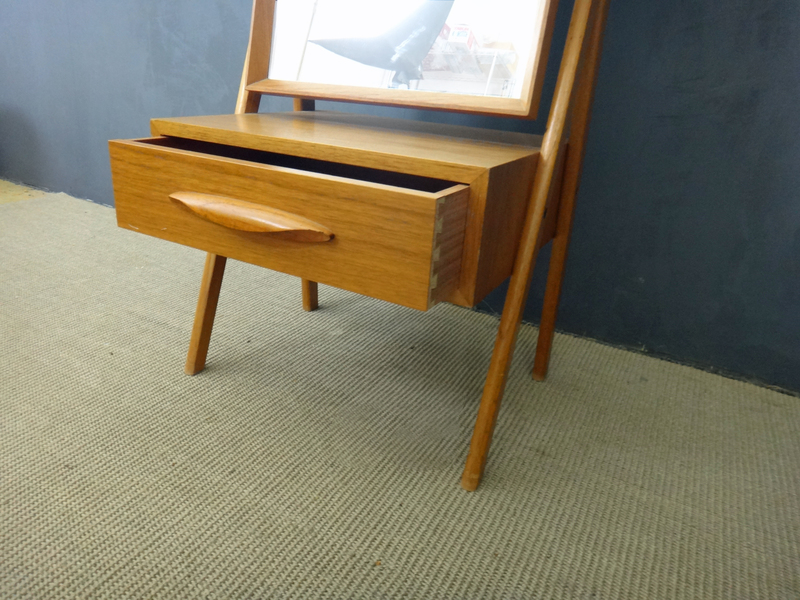 In excellent condition and a gorgeous piece.